Mark O'Shea was born in Wolverhampton, in the English Midlands, in 1956. 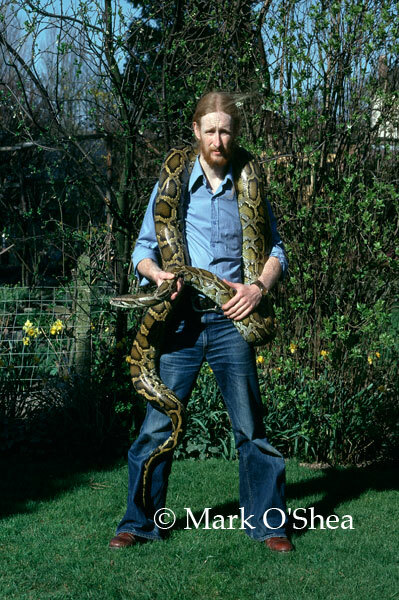 His parents, Maurice Anthony (Mo) and Barbara, were both school teachers who encouraged his interest in reptiles, although they might have reconsidered in the early years had they known that by the 1980s he would have over 200 snakes in the house! He has a younger brother, Nic, whose interests lie more with football, classic cars and architecture. Both his maternal grandparents had passed away before Mark was born and his paternal grandparents had passed by the late 1980s. Mo passed away in 1995 and Barbara followed in 2000. Mark always had an interest in wildlife but seemed to zero in on reptiles early on, although he had yet to meet one either in the wild or up close in captivity. Barbara was one step ahead, she had handled a 'rubber snake' brought into class by a pupil, only for it to move. Resisting the urge to drop the reptile, Barbara realised it was neither slimy nor dangerous and was actually quite pleasant to the touch. 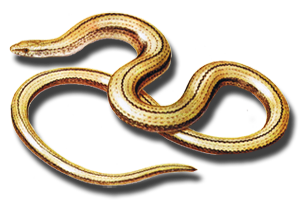 The 'rubber snake' was actually a slow worm (Anguis fragilis), a legless lizard common in England, and the story, recounted to his son that evening just reinforced his desire to meet, even own, one himself. 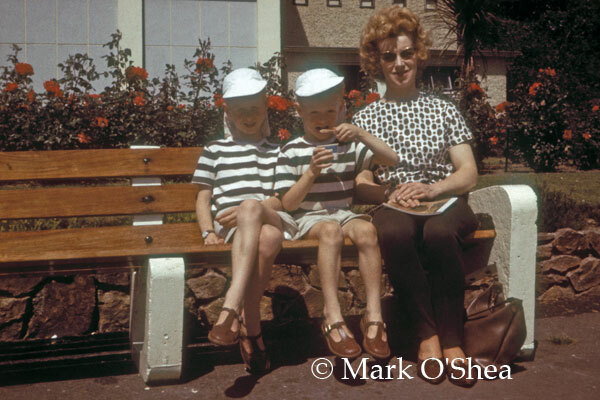 But it was not until a visit to Dublin Zoo in Ireland, in 1965, that the opportunity presented itself. As Barbara walked into the Reptile House with her two young sons, aged 9 and 6, someone going out through the doors said to her: "The keeper will get one out for you if you ask." 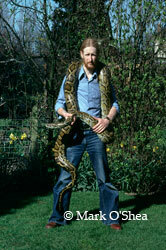 the boa that changed his life at Dublin Zoo in 1965. The keeper was just closing the front-access exhibit so Barbara approached him and asked if would show her sons a snake. He agreed and re-opened the exhibit to remove a Common boa (Boa constrictor) which the boys were allowed to touch and which was soon after draped over Mark's slight shoulders. At the time, he recollects, it appeared twice as long as he was tall, but that was probably a childish exaggeration. 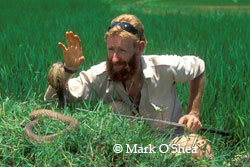 The die was now cast, reptiles were to be his life, but how to meet more snakes! 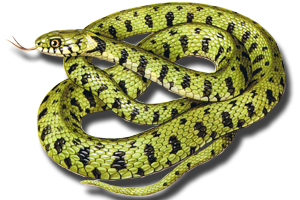 He began saving his pocket-money for books on snakes or asking for them as birthday and Christmas presents, and he borrowing Snakes of the World and Reptiles of the World, by Raymond L. Ditmars from the public library for extended periods of time. Then in 1966 he was taken ill and during his recuperation period, was taken for a walk by his Aunt Lydia. He chose to visit a local beauty spot called Kinver Edge, on the Staffordshire/Worcestershire border, where the family often went for Sunday walks. Walking in sling-back sandals Lydia enquired whether there were any snakes about. Having visited the area many times and never seen any of the resident adders, Mark replied that there were not, and then, right on cue, a beautiful adult male Northern adder (Vipera berus) glided onto the path directly in front of them. The boa had belonged to Dublin Zoo but this adder was free and therefore fair game, so Mark has his aunt try to help him catch it. 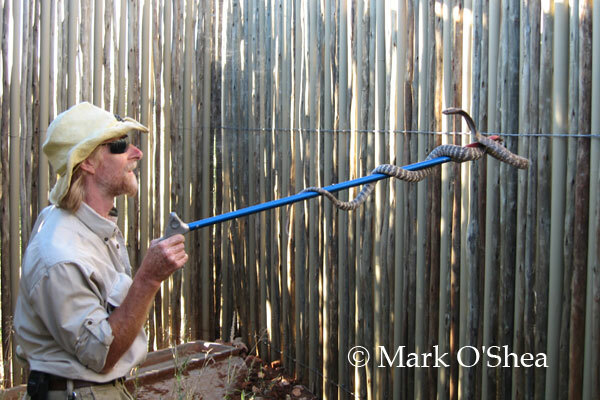 Fortunately for both humans and the snake, the reptile evaded further discovery, but the first wild snake had now been sighted and Mark returned home determined to own a snake himself. A local pet shop occasionally sold slow worms and Barbara ordered one, but what she eventually received a phone call to say the shop had got some grass snakes (Natrix natrix) from Italy, and that was how Mark obtained his first pet snake, which he called "Escapist", because he/she did.... repeatedly. After that he gradually saved his pocket-money to add to his collection, buying other European species ie. Dice snakes (N.tessellata) and Viperine watersnakes (N.maura), but he longed for a constrictor, a python or a boa. Mark even wrote a letter to Prime Minister Indira Ghandhi of India to the effect "you have lots of pythons in India Madame President, do you think I could have one?" The letter was never sent. Throughout the 1970s Mark gradually increased his collection of snakes, and met with like minded persons when he joined the International Herpetological Society in 1973. 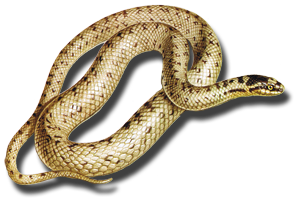 He had also become a member of the British Herpetological Society the previous year but the BHS met in London while the IHS met near Tamworth and Mark could get to the monthly meetings courtesy of his new found older reptile enthusiast friends, Dr John Tranter, a local GP (general practitioner), Roger Pearson (who became a wildlife lecturer) and Eric Hodgets (who ran an auto-electrical company and kept crocodiles in his garden shed). So wanting to keep reptiles as 'pets' was not strange and unique after all, here were older people who had achieved that aim. The monthly IHS meetings at Fazeley Village Hall, near Tamworth and Drayton Manor Zoo, became a fixture in Mark's calendar, he did not even want to go on holiday and miss one. 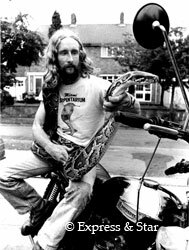 He met some of the famous British snakemen of the era through these meetings, including John Foden who became a firm friend and one of the most respected venomous snake keepers in the United Kingdom - when John passed away in 2000 it was standing room only at his funeral. Burmese rock pythons, Python bivittatus. 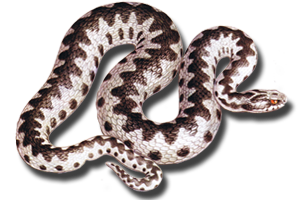 Mark continued visiting Kinver Edge, to observe rather than attempt captured of adders, and in the late 1970s made numerous trips down to Hampshire or Dorset to search for reptiles. 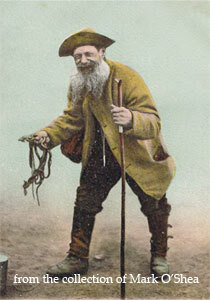 Brusher Mills, New Forest snake-catcher (1840-1905). The trips to Hampshire were to the New Forest and visit the haunts of the famous old British snake-catcher Brusher Mills (1840-1905). 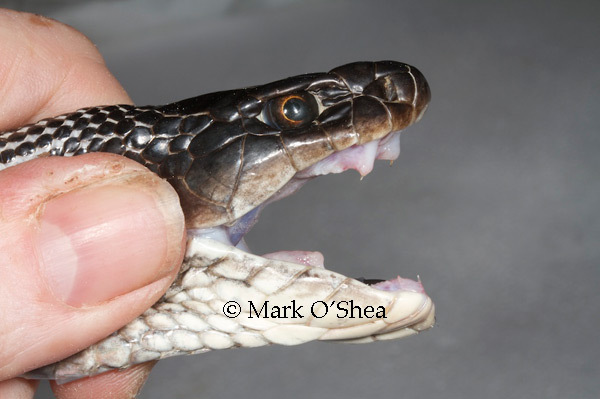 Mark and his college friend Steve Thompson would travel down by train and hike into the forest, also dropping into a reptile exhibit set up by the Forestry Commission where they saw their first Smooth snakes (Coronella austriaca), Britain's rarest and most threatened native snake species. 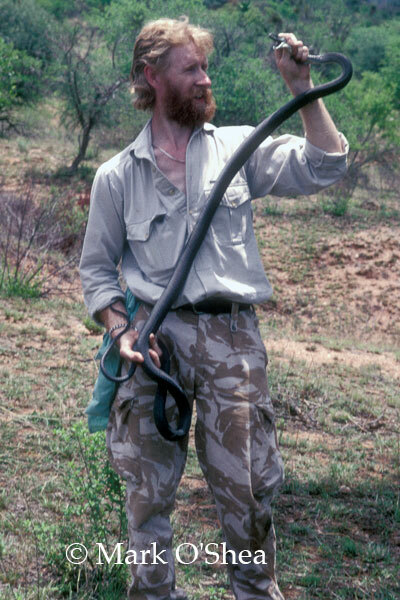 The expeditions to Dorest were to spend time learning from Tony Phelps, now esconced in South Africa but at that time deeply involved in the study of the adder on Purbeck and also running the Poole Serpentarium where Mark came into close contact with exotic venomous snakes for the first time. He made these trips with fellow IHS members Roger Butler and Don Reid (then Curator of Reptiles at Cotswold Wildlife Park in Oxfordshire but latterly a Durrell Institite fieldwork researcher in Madagascar), or Steve again, on Mark's Triumph Bonneville motorcycle. The visits to Purbeck were initiated by a field course run by Tony Phelps in 1989 and they became an annual event for several years afterwards. Mark left school in late 1972, and got a job working at the Royal Hospital, Wolverhampton, where he had been volunteering on Saturday mornings for several years. In 1973 he went to the Wulfrun College of Further Education where he spent three-years picking up biological qualifications and doing field courses in woodland, and coastal and estuarine ecology, before going back to the hospital where he worked in A&E (Accident and Emergency) for seven-years, during which time he continued to visit southern England and planned two snake catching trips to Florida (in 1980 and 1981) with friends including the late Peter Stafford (who eventually became "the best herper in botany" at the Natural History Museum in London but who passed away in 2009). Steve, Mark, Pete and Doug road-cruising in Florida. On the way home from one of the Florida trips the young herp-explorers were asked to fill in a questionaire by the charter tour company. One questions read: "If Intersun were to run charter trips to other locations, which three places would you most like to visit?" 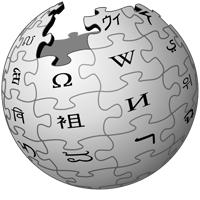 It is likely that most respondants wrote the Canary Islands, Italy or the more adventurous, Egypt. 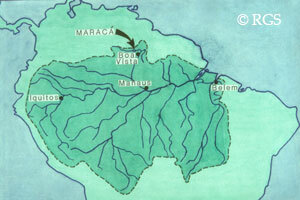 Mark wrote: "Borneo, the Amazon Bazin, Papua New Guinea" and then "(really)" to emphasise he was not joking. In 1981, deciding he could not advance further in his chosen career of herpetology without further qualifications he went for an interview for a teacher training course. In the interview it was soon determined that Mark wanted to study biology more than teach and 10minutes later, after an interview with a Dr Lintonbon, Deputy Head of the School of Applied Sciences at the Wolverhampton Polytechnic, he was offered a place as a mature student (he was 25) on the Bachelor of Sciences (with honours) in Applied Sciences course beginning that September. 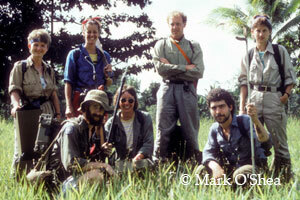 The three-year course stretched to four for Mark as he took a sabbatical in 1983 to organise an expedition to Borneo. During the planning of the Borneo expedition Mark came into contact with the late Major Wandy Swales who was an expert in the region. 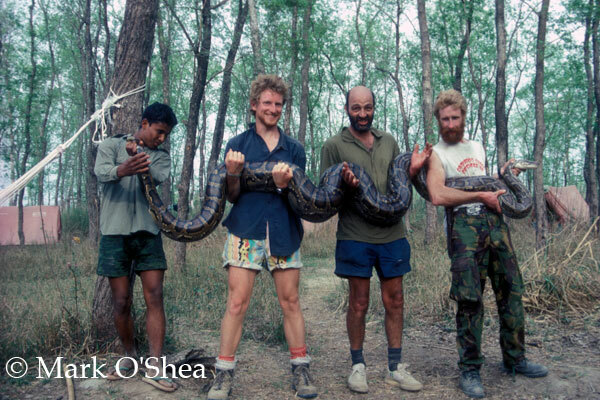 Wandy suggested Mark get in touch when he returned in 1984, as he and a group of friends were putting together a large project and Mark's expertise with reptiles might come in handy. 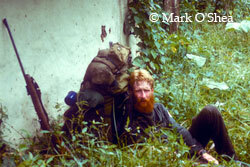 The project was Operation Raleigh, a four-year, multi-national, multi-disciplinary, round-the-world mega-expedition comprising numerous three-month expeditions where 'venturers' aged between 17 and 24 would be led by military officers and NCOs, scientists, community leaders, and outward-bound and survival experts, as they participated in adventurous, scientific and community tasks in countries as diverse as the United Kingdom itself, and Papua New Guinea (PNG). Here was Mark's chance, he put his name down for the Scientific Directing Staff and put PNG down as his chosen destination. Mark in Sarawak, Borneo in 1983-84. 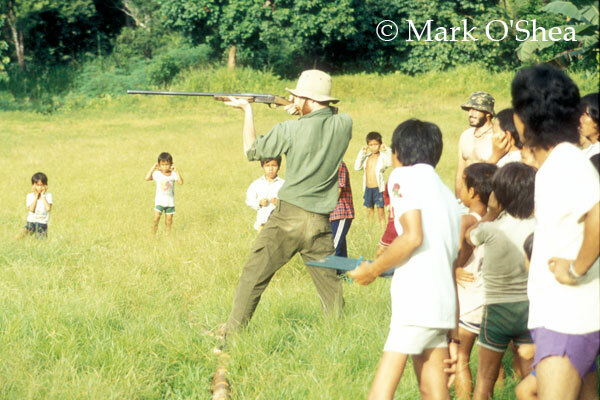 Mark in Honduras 1985. Operation Raleigh asked him to go to Honduras in 1985, and confirmed that this would not preclude Mark from going to PNG in 1986. Having completed his degree, got some tropical field experience under his belt in Borneo and obtained a temporary position in A&E to earn a short-term income, there were some decisions to be made, especially as participating in Operation Raleigh cost money whether the participant was a venturer or staff. Mark committed to both Honduras and PNG and was financially assisted by his supportive parents when his hospital pay-cheque would not stretch any further. 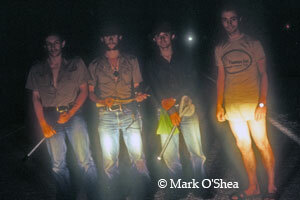 Mark and his team of venturers, Western Prov., PNG 1986. 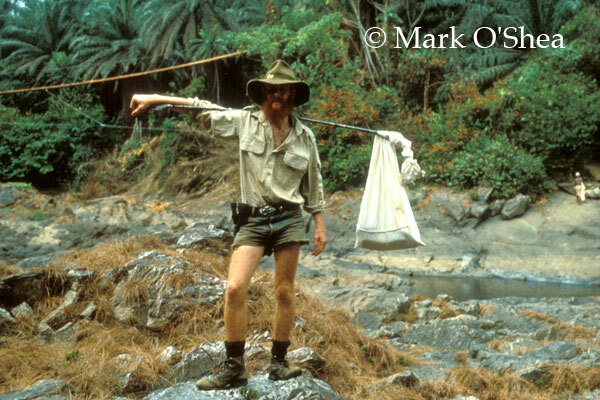 Then in 1986, having returned from PNG and wondering how to fund a future career in herpetology and expedition fieldwork, Mark had two lucky breaks. Break number one came as Mark was in London at Operation Raleigh headquarters in St Catherine's Dock, Kensington. He got a message to call home. When he did Barbara told him a Dr John Hemming, Director of the Royal Geographical Society, had called to ask if Mark would call in to see him while he was in London. Mark made an appointment and caught the 'tube' over to the RGS on Exhibition Road, near the Natural History Museum and practically next door to the Albert Hall. 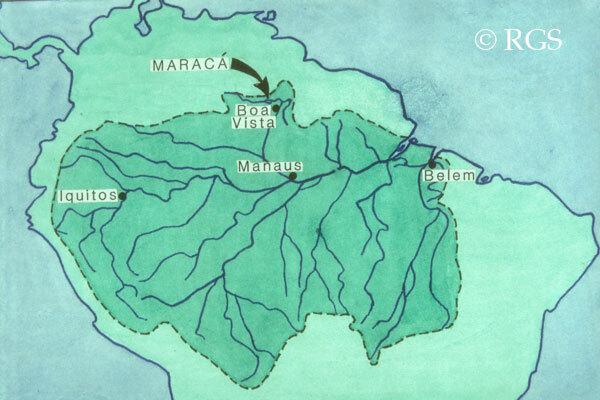 John Hemming received Mark and told him the RGS was putting a large expedition together to conduct fieldwork in a 100,000 hectare reserve called the Ilha Maracá, in the northern Amazon, in the Brazilian territory (now state) or Roraima, and based on reports he had received about the Honduran and Papuan expeditions, it sounded like Mark was just the man to conduct the project's herpetological survey. Was he interested ? Was he ! The original frontage of the reptile house, complete with garish, anatomically inaccurate commissioned signage. Break number two arrived to sort out the financial aspect of being a world-travelled snake-catcher. Mark received a call from an old friend, Ivan Knezovich from West Midland Safari Park (WMSP). Ivan was at that time the sealion owner and trainer but he was also a keen and experienced field herper and had visited Mark to view his private collection at home, with his friends John Visser and Johan Marais, in the past. Ivan said the Safari Park were planning to build a reptile house and he would like Mark's input in design and suitable species. 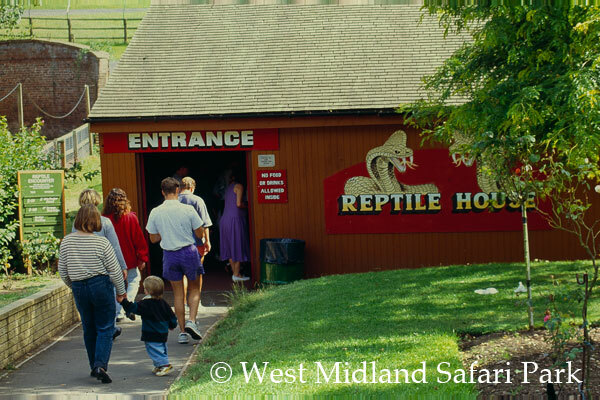 The reptile house would be built over the winter of 1986-87 and open in the new season (in those days WMSP closed for five months over the winter). During the winter Mark was across at the Safari Park as the wooden building went up, and continued there dressing cages to prepare for the movement of specimens from his own collection and specimens from South Africa from John Visser, to stock the initial exhibits. Then Ivan asked Mark if he would take on the position of running the reptile house as a member of staff. 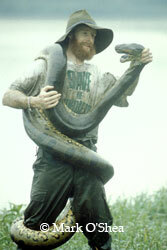 The offer was accepted, this meant there was no need to return to work in A&E to earn a living, employment with reptiles had finally been acheived. In March 1987 Mark officially joined the staff of West Midland Safari Park as Curator of Reptiles, in June he flew to Brazil for the RGS and did not return until November. From that time onwards the Safari Park and Mark have had a special arrangement whereby the Park has never stood in the way of Mark's overseas fieldwork aspirations, in fact they have encouraged them, and at the same time Mark has endeavoured to be available at the Safari Park for the busiest of weekends and bank holiday periods. 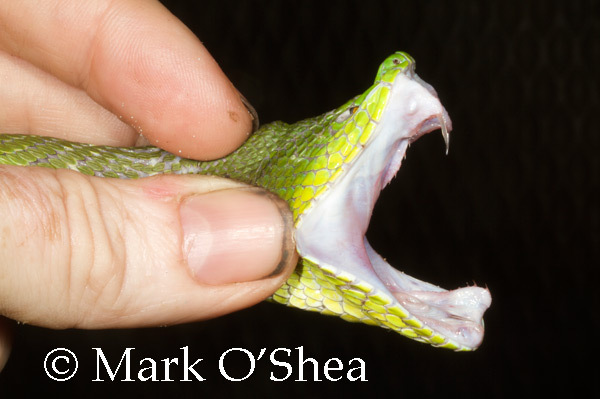 Mark is now Consultant Curator of Reptiles, a non-staff contracted position which allows even more flexibility, and there is a staff of four in the reptile house, which was re-branded as Mark O'Shea's Reptile World in 2008. 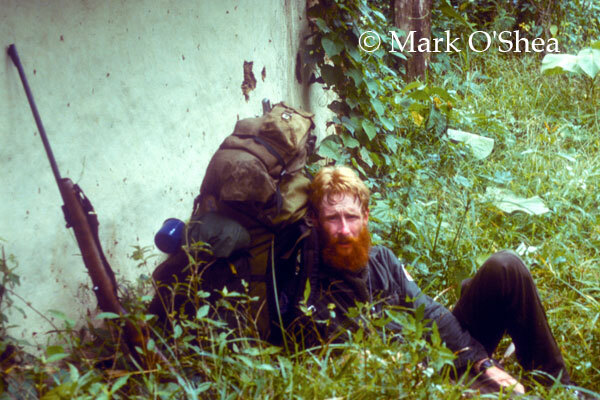 In 1989 Mark partipated in a third Operation Raleigh expedition, to Cameroon, his last with OR which became Raleigh International in 1992. 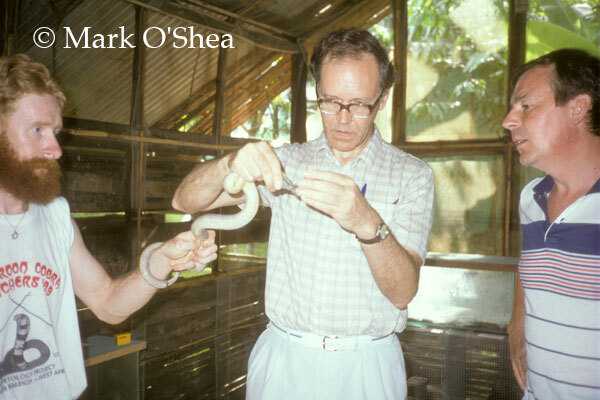 In 1990 Mark returned to PNG under the auspices of Oxford University's Nuffield Dept of Clinical Medicine, at the invitation of Prof David A Warrell, a specialist in tropical medicine and snakebite. 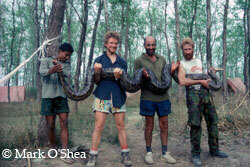 During the early 1990s Mark worked on the PNG snakebite project, alongside Oxford clinicians. Mark with a bagged Forest cobra, Naja melanoleuca, in Cameroon, in 1989. New Guinea small-eyed snake, Micropechis ikaheka in PNG, in 1990, Prof David Theakston observes. 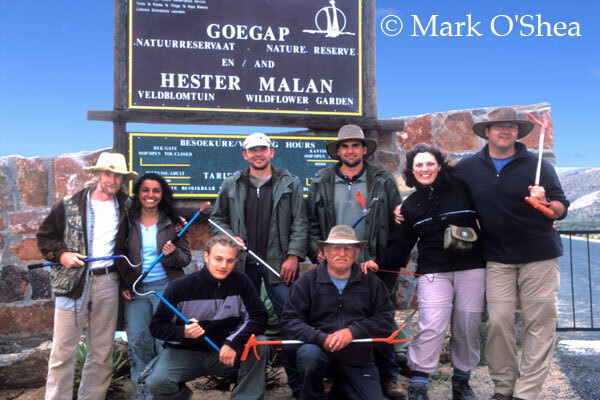 Also during the early 1990s Mark participated in expeditions to Nepal and Guyana, led by Col. John Blashford-Snell, former Director General of Operation Raleigh. By the mid 1990s Mark has been working with television production companies for ten-years, supplying and wrangling venomous snakes for blue-chip natural history documentaries and including working on the two-part BBC Natural World New Guinea: An Island Apart, on location in 1990. 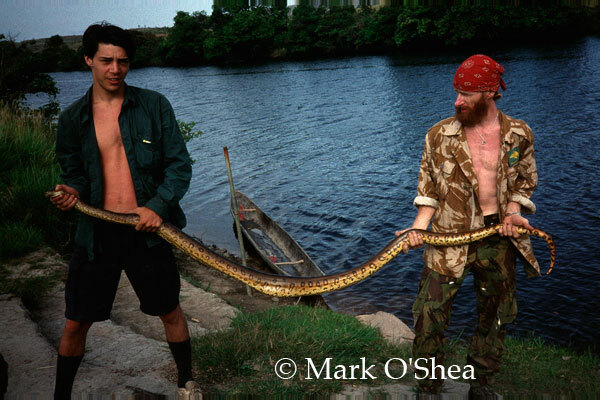 In 1996 he worked on a documentary about cobras in Sri Lanka, entitled Cobra: King of Snakes, went 'front of camera' for a film about anacondas in Venezuela, called Giant Snake. 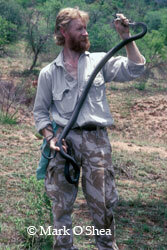 Based on the popularity of Giant Snake, in 1997 he was in South Africa presenting Black Mamba, and he was then offered a six-part series. 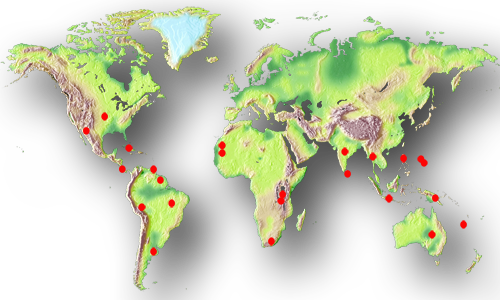 O'Shea's Big Adventure (aka O'Shea's Dangerous Reptiles) begans as a six-part series but became a 13-part series, and then four series', filmed from 1999-2003, comprising 26x 30minute films and eight one-hour films, filmed in 24 countries on five continents. OBA featured 24 countries on six continents. 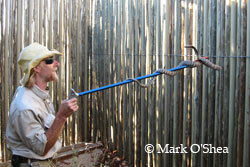 After OBA Mark went back into fieldwork, herping in South Africa in 2005. 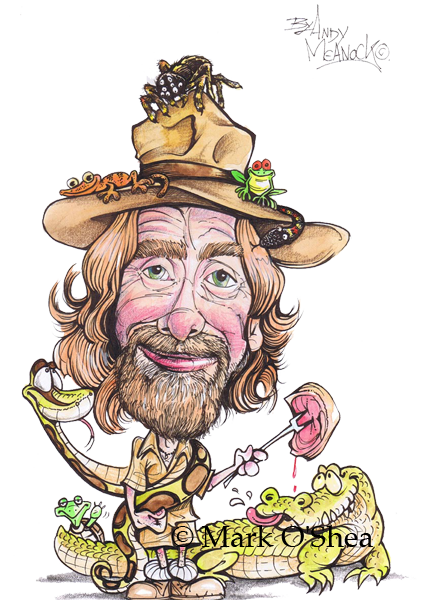 In 2007 he accomplished a curious amalgamation whereby he wore his three main hats all at the same time: field herpetologist, television presenter and consultant curator of reptiles, in the filming of Safari Park, in UK and Namibia. 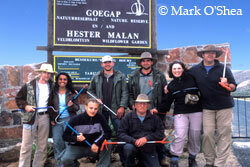 in Namaqualand, South Africa, in 2005.
in Namibia, in 2007 (Safari Park). Back in fieldwork, Mark concentrated his attentions on his herpetological and snakebite interests in PNG, working with toxinologist and fellow herpetologist David Williams, but now under the auspices of a Fellowship from the Australian Venom Research Unit, at the University of Melbourne, who had continued the work started by Oxford. 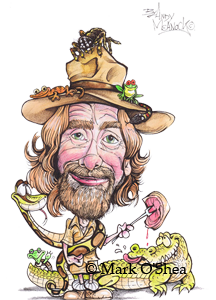 He also began working in Timor-Leste, conducting an herpetological survey of the young country with Hinrich Kaiser and his team from Victor Valley College, California. in Papua New Guinea, in 2010.